Almost every student who attends a decent high school will be exposed to Special Relativity. Their science/physics teacher may not really understand it very well, may do a terrible job trying to explain it. But the kid will have to read a textbook discussion and (in the internet age) can easily find more with a simple search. 1. The laws of physics are invariant (i.e., identical) in all inertial systems (i.e., non-accelerating frames of reference). 2. The speed of light in a vacuum is the same for all observers, regardless of the motion of the light source. What happens next depends, of course, on the kid. I posit that above a certain (perhaps very high) threshold in g and in intellectual curiosity, almost everyone will invest some hours to think about this particular topic. Special Relativity is fundamental to our understanding of space and time and causality, and has a certain intellectual and cultural glamour. Furthermore, it is amazing that a simple empirical observation like 2 above has such deep and significant consequences. A bright individual who invests those few hours is likely to come away with an appreciation of the beauty and power of physics and the mathematical approach to natural science. I suspect that Special Relativity, because it is easy to introduce (no mathematics beyond algebra is required), yet deep and beautiful and counterintuitive, stimulates many people of high ability to become interested in physics. So what can one conclude about an educated adult who does not understand Special Relativity? Does it suggest an upper bound (albeit perhaps very high) on a combination of their cognitive ability and intellectual curiosity? I mention curiosity (perhaps better to say interest in first principles or deep knowledge) because of course some (how many?) people of high ability will simply not be interested in the topic. However, as ability level increases the amount of effort necessary to learn and retain the information decreases. So someone with very off-scale ability would have to be quite incurious not to absorb and retain some basic understanding of relativity, if only from school days. Years ago I was discussing a particle accelerator facility with a distinguished (internationally renowned) engineering professor. I mentioned that the particles in the beam would reach a certain fraction of the speed of light. He asked me why they could not reach or surpass the speed of light. It became obvious that he had essentially zero understanding of Special Relativity, and I was shocked. We could go a bit further. 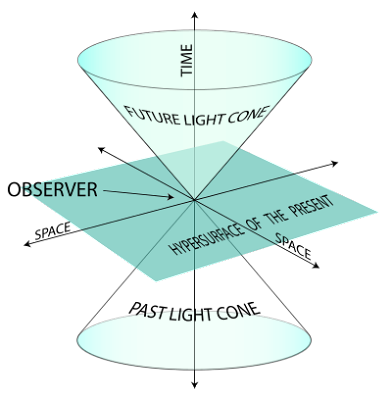 General Relativity (also an invention of Einstein) describes the dynamics of spacetime (sound interesting? ), and is connected to topics in popular culture such as black holes, time travel, wormholes, galactic empires, etc. General Relativity is far more complex than Special Relativity, but can be introduced to someone who has a good grasp of multivariable calculus. For example, Dirac's lecture notes on the subject provide a pedagogical introduction in only 62 pages. Yet what fraction of adults have even a modest grasp of this topic? Perhaps one in ten or a hundred thousand at best. What is the cognitive threshold to learn Special or General Relativity? What is the cognitive threshold to remember something about it ten or twenty years later? Is the cognitive threshold higher, or the threshold in intellectual curiosity required to ponder such things? See also One hundred thousand brains and Quantum GDP.